Konami just announced the official team list for the Winning Eleven 2015 Demo, while also confirming the demo lineups for Winning Eleven 2015 and Pro Evolution Soccer 2015 to be the same. PES 2015 Demo will include four Spanish and two Italian teams as well as Bayern München from Germany. The Pro Evolution Soccer 2015 Demo will be out for all platforms except PC on September 17. The PES 2015 PC Demo will be released closer to the official Pro Evolution Soccer 2015 release on November 13. 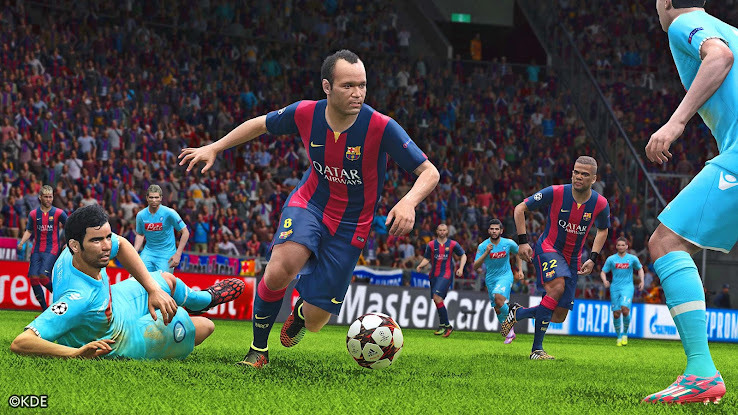 A new screen showing Andres Iniesta for Barcelona against SSC Napoli was also revealed. This is the official Pro Evolution Soccer 2015 Demo Teamlist. Let us know what you think about the PES 2015 Demo team selection below.